Apple’s retina display will have some competition this holiday season. Today, LG unveiled a new Android phone with 4G LTE connectivity and its new superbright “NOVA” display, which achieves a low-end HD resolution of 720p (1280×720 pixels). At 4.5 inches, the IPS LCD screen has a 16:9 aspect and more pixels per inch than Apple’s famed Retina Display for the iPhone 4 and 4S. LG’s display gets 329ppi over 4.5 inches, while Apple’s achieves 326ppi over 3.5 inches. Unfortunately, the phone is currently only set for launch in South Korea. 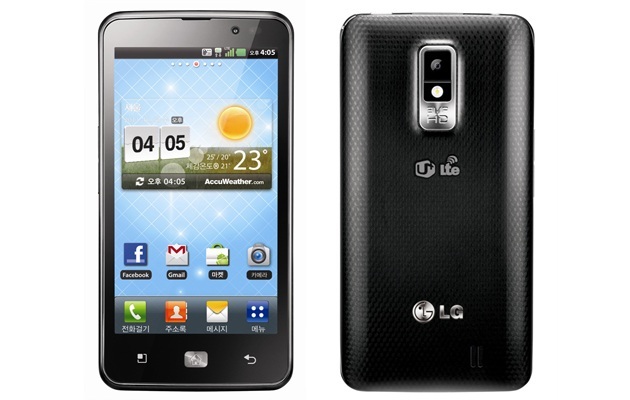 The rest of the phone seems to have stats that are quite comparable to the rumored specs of the upcoming Galaxy Nexus phone, which is set to be unveiled later this month and will mark the debut of Google’s Android 4.0 (Ice Cream Sandwich) operating system. It packs in a 1.5GHz dual-core processor, 4GB of internal storage, a 16GB Micro SD card, an 8MP rear camera, a 1.3MP front camera, Android 2.3 (Gingerbread), a hefty 1830mAh battery and a relatively thin frame at only 10.4mm thick, which isn’t a whole lot thicker than the 9.3mm iPhone 4(S). On a side note, LG also claims to own 23 percent of the 1,400 LTE patents filed in the world, meaning it should be good when the eruption of 4G lawsuits starts any day now.